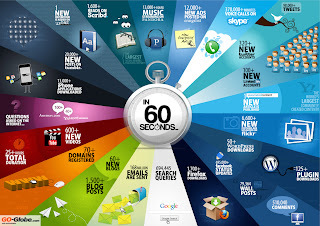 Lexington Houses Blog: Wondering what is happening every Minute on the Internet? Wondering what is happening every Minute on the Internet? Ever wondered what is happening on the internet throughout the day? How about every minute? Here is an Infographic by Shanghai Web Designers that depicts the activity on the internet over one minute. Thanks to Mike Blaney - The Marketing Guy - for passing this along.